The Netherlands – 4K will be a major topic at the upcoming IBC (show – not ice bucket challenge), with awards just announced for the 4K transmissions by the Vienna State Opera and the 2014 FIFA World Cup. Be sure not to miss this year’s IBC Big Screen Experience – bigger and also free for everyone attending this year. Dramatic advances in media technology bring new opportunities to engage with audiences and to extend the reach of an event around the world. At IBC2014, two very different projects will be recognised with prestigious awards. Innovations in coverage of the 2014 FIFA World Cup will receive the Judges’ Prize, and a Special Award will go the one of the world’s greatest opera houses, the Wiener Staatsoper – Vienna State Opera. Want to know more about 4K a.k.a. Ultra-HD? Check out this website, which scrolls like a powerpoint. Interesting and informative. France – People fainting and being taken to hospital is what producers of schlock horror B-movies used to promise in the 1950s. But apparently that is just what happened at a French Film Festival in Angouleme. Participants of the International Francophone Film Festival in Angouleme French were not ready for it. Already after a quarter of the film “Little Queen” in the audience prevailed movement through drastic scenes of blood transfusion. People fainted, and one of the spectators was transported to the hospital. The session was stopped and the cinema evacuated. The film “La Petite Reine” (French for “Little Queen”) tells the story of a Canadian Genevieve Jeanson, who was a cycling champion. The film shows a scene where the heroine is transfusing blood. Participants of the festival were not made ? ?aware of the dramatic scenes. USA (NY) – Millennials are best targeted using cinema advertising says Screenvision in a report by Insight Strategy Group. It is the movie theater! The study was commissioned by Screenvision, a theater operator with a vested interest. 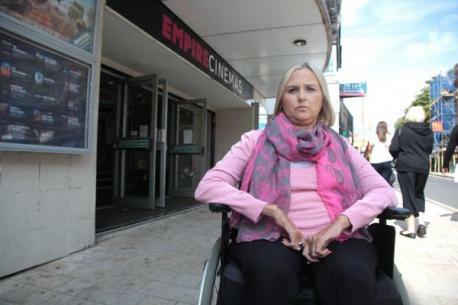 UK – Cinemas in the UK have to up their game to welcome disabled customers a new report has found. High street shops are missing out on business from more than 12 million customers across the country because they are not disabled-friendly, the government has warned. 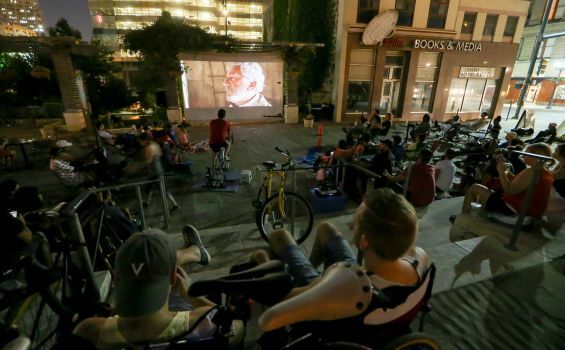 USA (TX) – A cycle-in pop-up cinema in San Antonio – what’s there not to like about this? But how many cycles would it take to power a 4K laser projector I wonder. Main Plaza Conservancy is in the second year of its Cycle-in Cinema, a summer series of free weekly flicks at Main Plaza where volunteers take turns on a bicycle-powered generator to run the projector that shows the outdoor movie. ONE of my favourite things about British summer is our bizarre desire to watch TV, play video games and enjoy films outdoors. We may not have the best of weather for the majority of the year but we really make the most of it as soon as those rays of sunshine break through the thick cloud looming over our island. 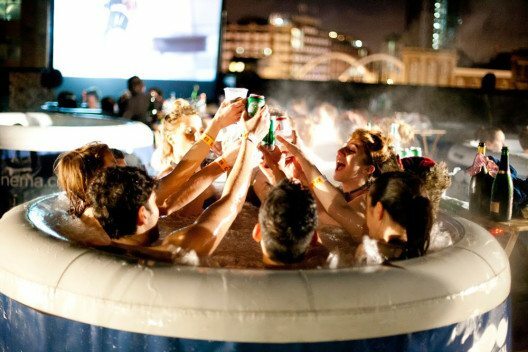 UK – Shoreditch’s Hot Tub Cinema is bravely returning for another season in September, which is not a month famed for friendliness to outdoor events in the British capital. 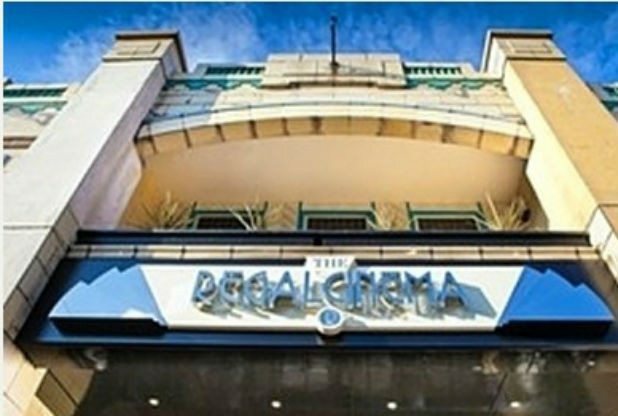 UK – I would think that any town would welcome a cinema with open arms, but asking for “available funding” raises questions about whether this is should be a spending priority for local councils. 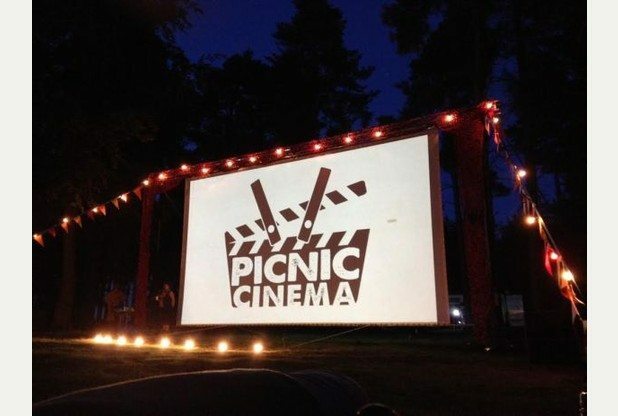 A cinema company is eyeing up Sleaford as a potential location for its newest venture. Regal Cinemas already runs two thriving cinemas in market towns and believes Sleaford is a “viable location” for a third. Portlandia nails artisan movie theatre food.